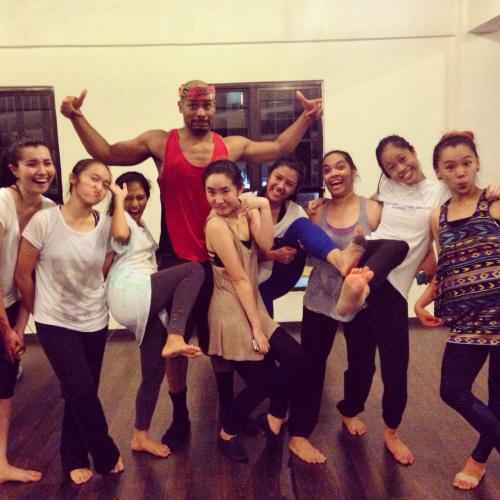 Internationally famed dancer/choreographer Anthony Burrell, was in Kuala Lumpur on the 21 October 2014 to conduct Hip Hop and Contemporary master classes organised by our teacher Suhaili Micheline Ahmad Kamil. 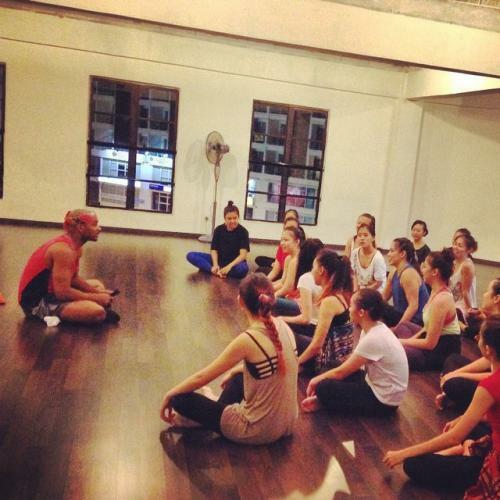 Our partnering studio, The Space, Plaza Damas played host to this dance workshop. 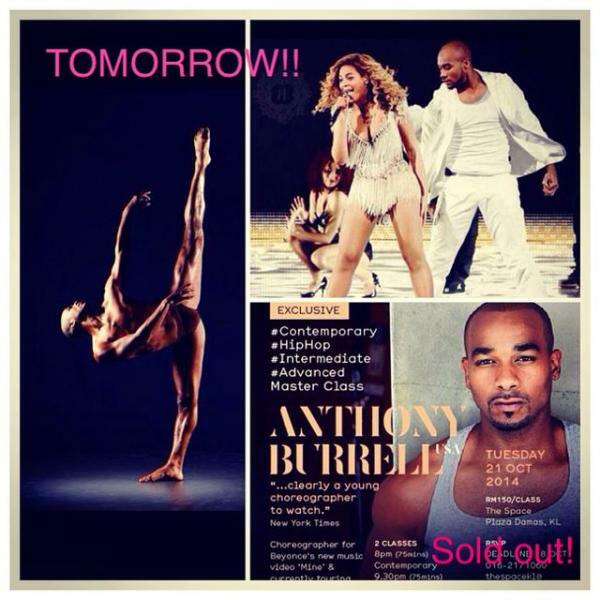 An attendance of 50 students , dancers and teachers rocked and shocked the studio floor for 2 1/2 hours with their kicks , leaps , turns and rolls.Anthony is choreographer for Beyonce's latest music video titled Mine and is currently on tour with Mariah Carey. Congratulations to Suhaili on a successful event.